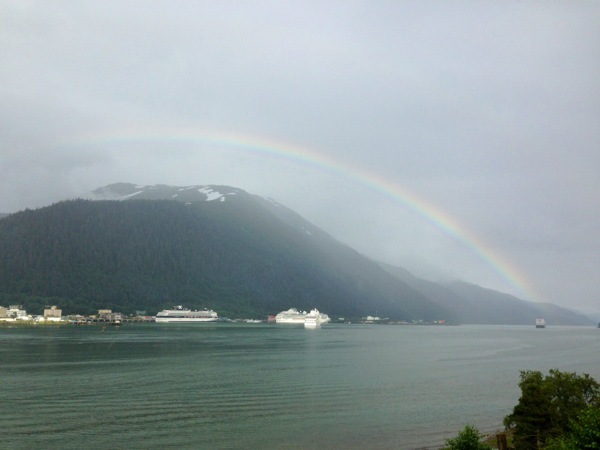 Here are a few photos of today's rainbow that stretched over the cruise ships and the Gastineau Channel. Yes really. Another rainbow.